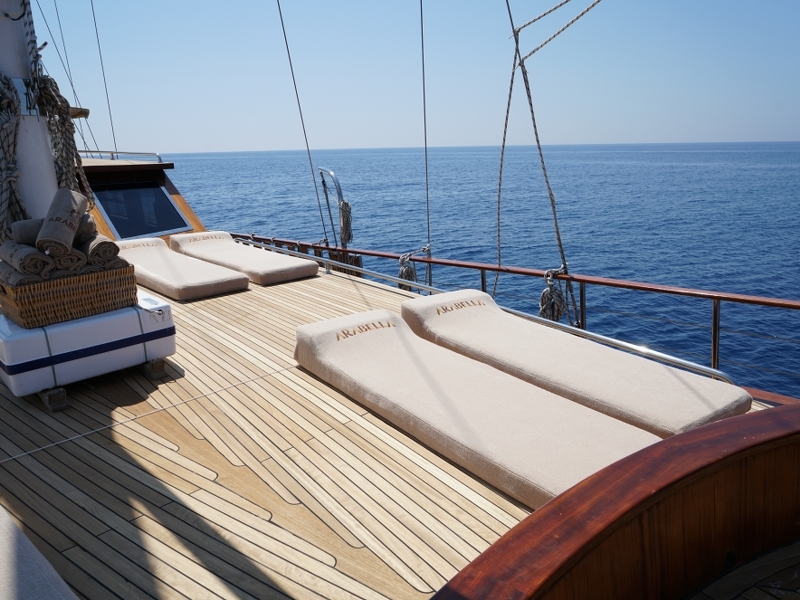 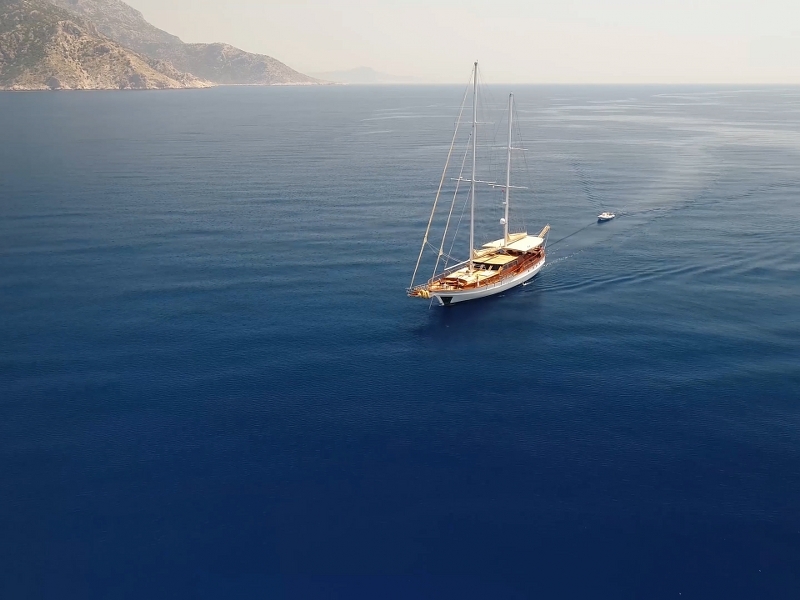 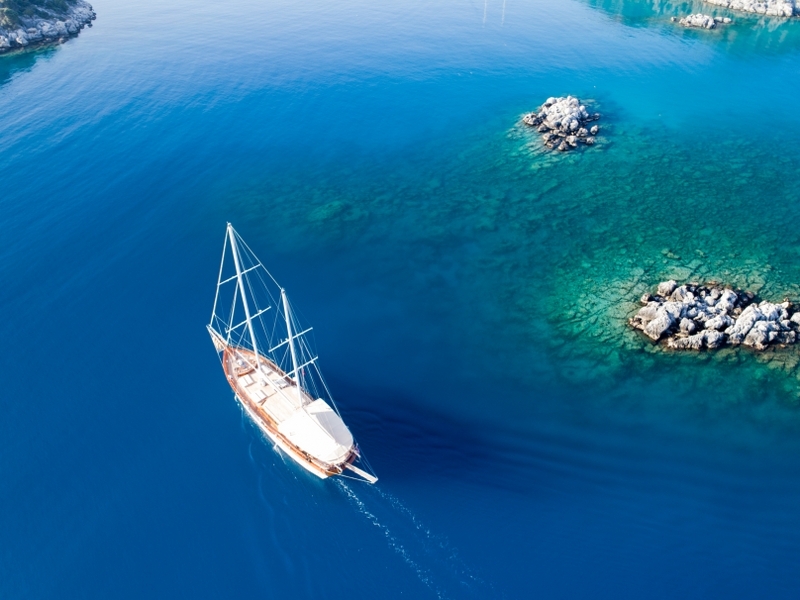 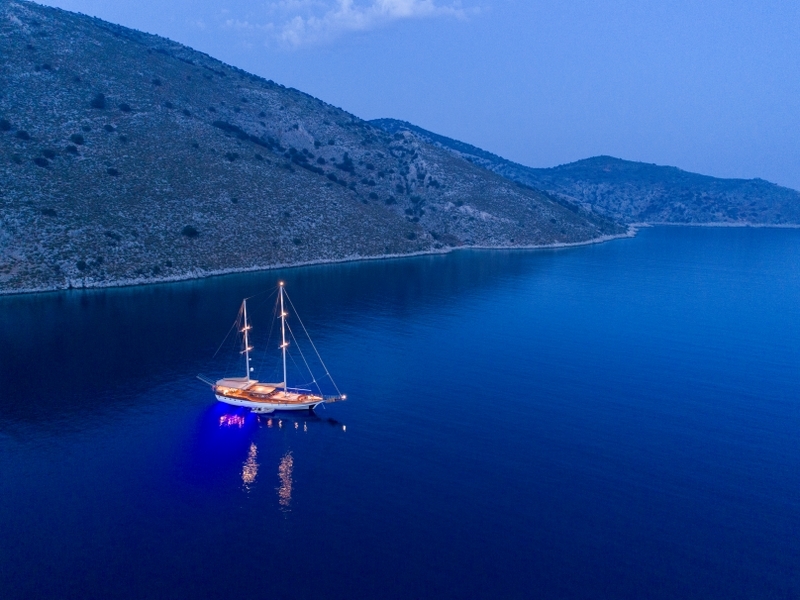 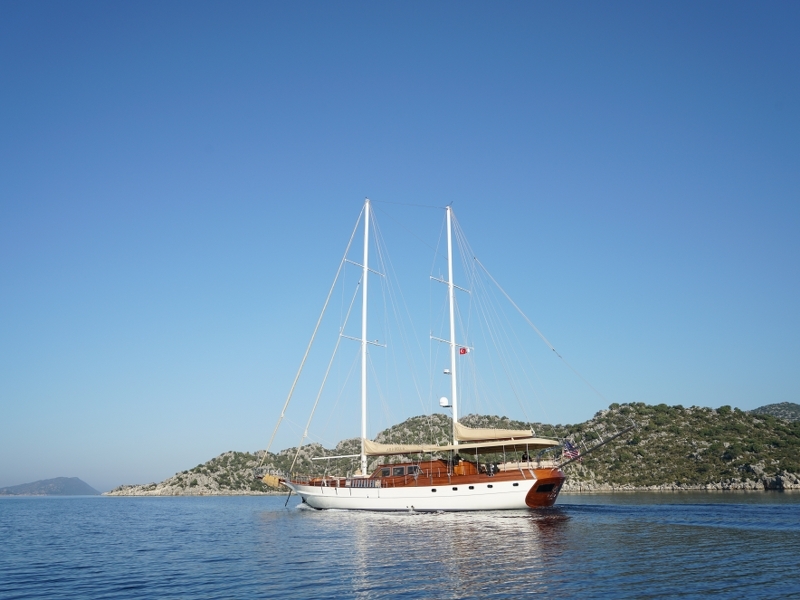 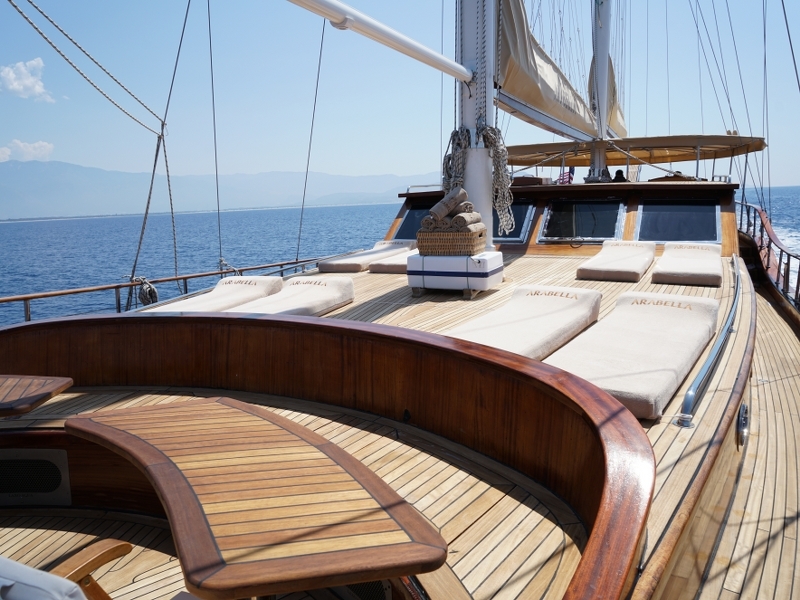 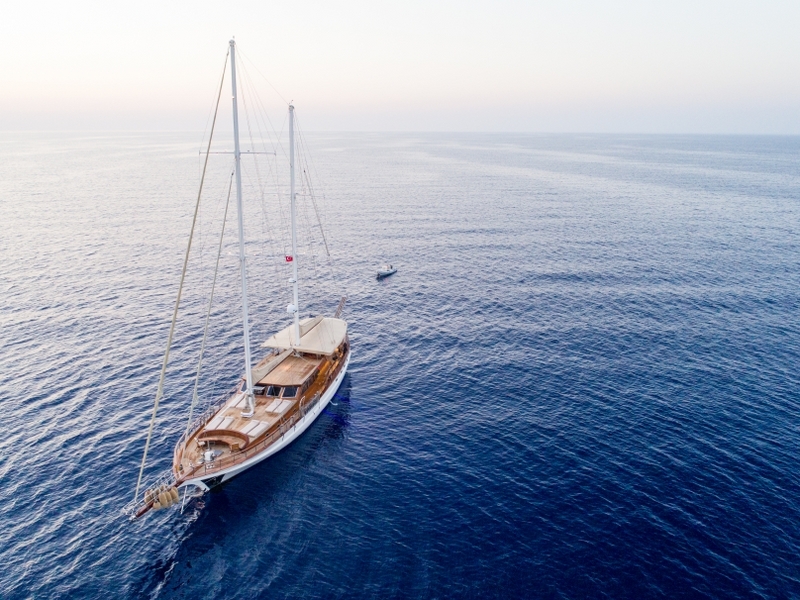 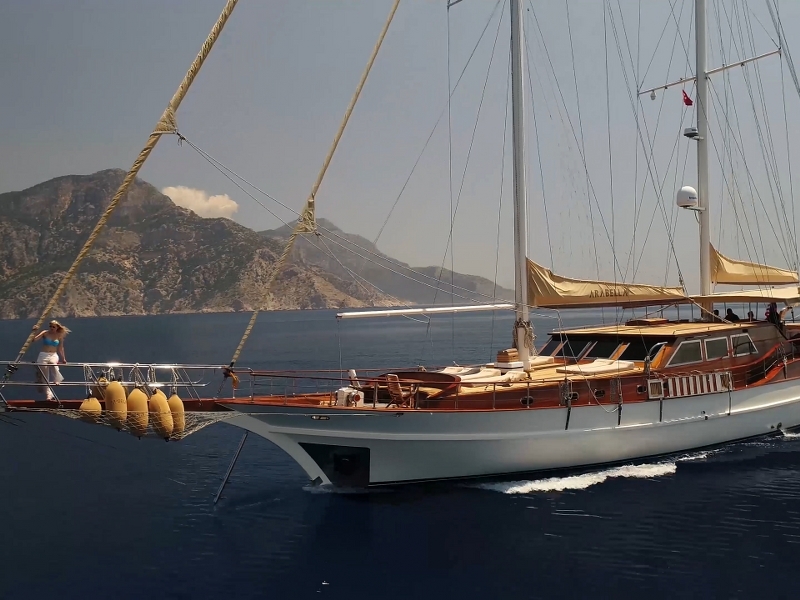 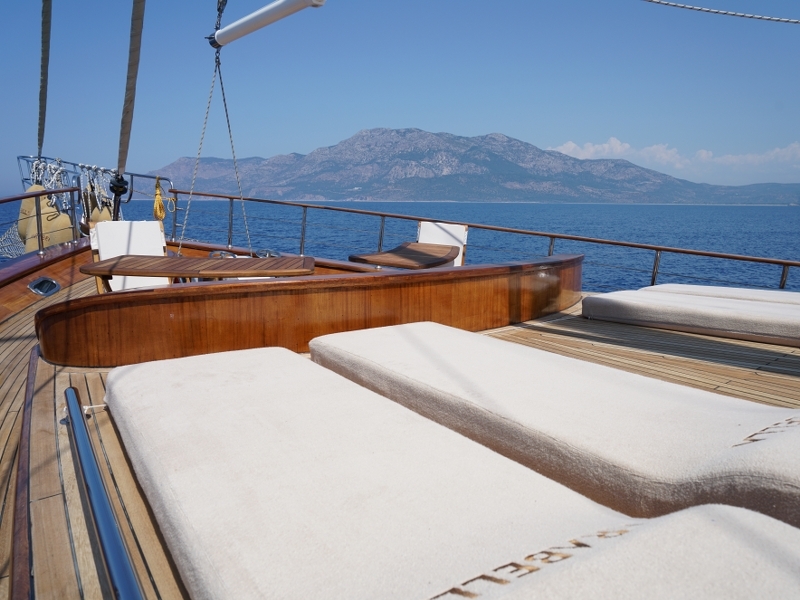 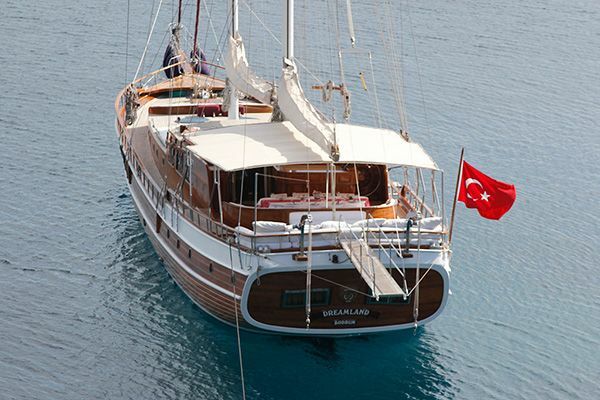 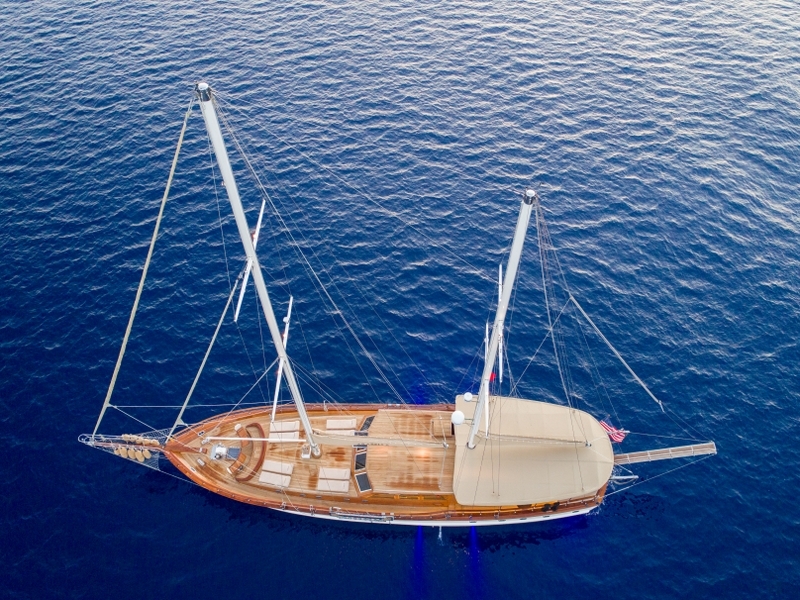 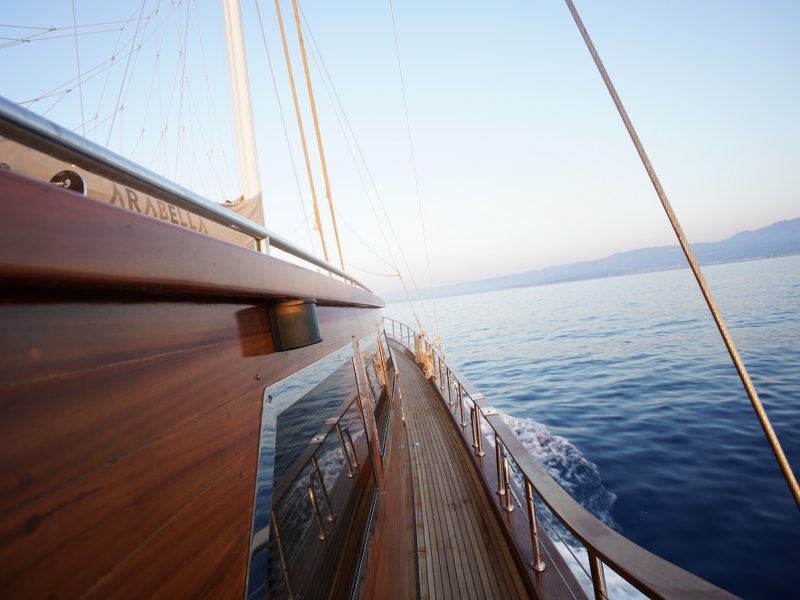 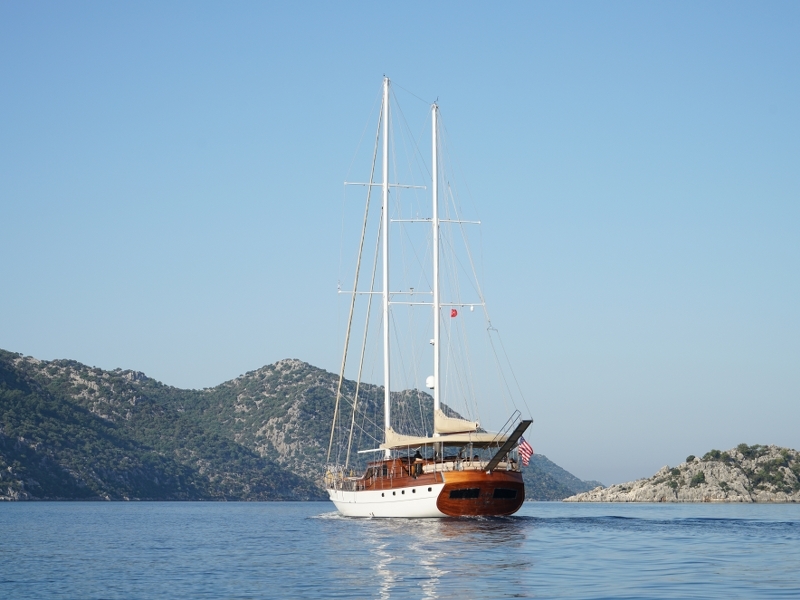 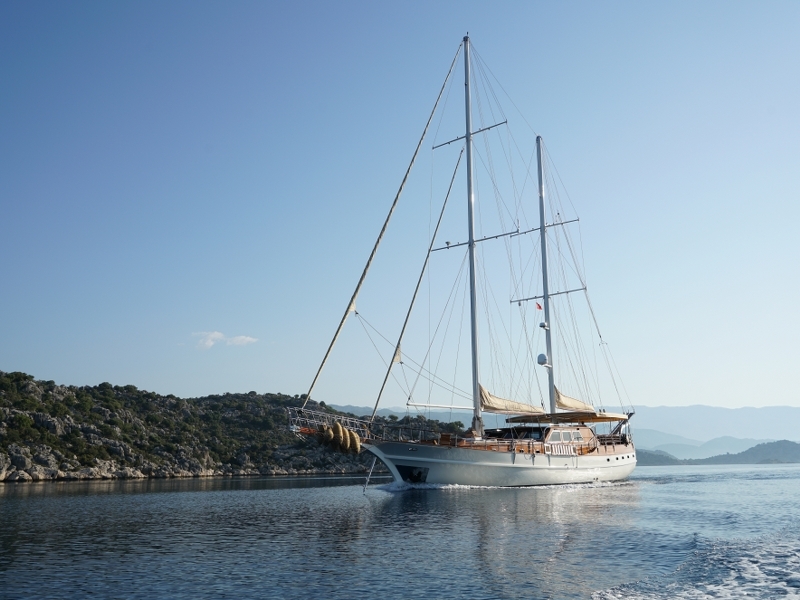 The High Deluxe Gulet Arabella is one of the most admired classic yachts cruising in the Mediterranean. 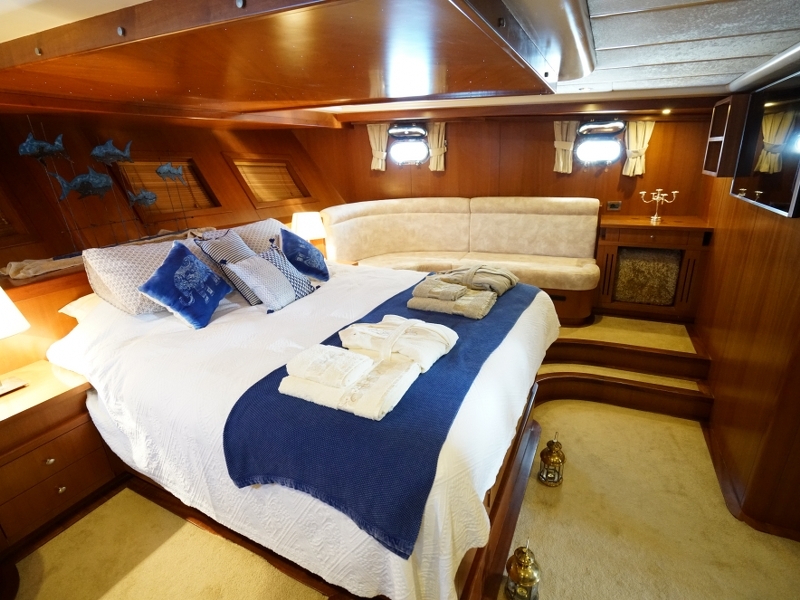 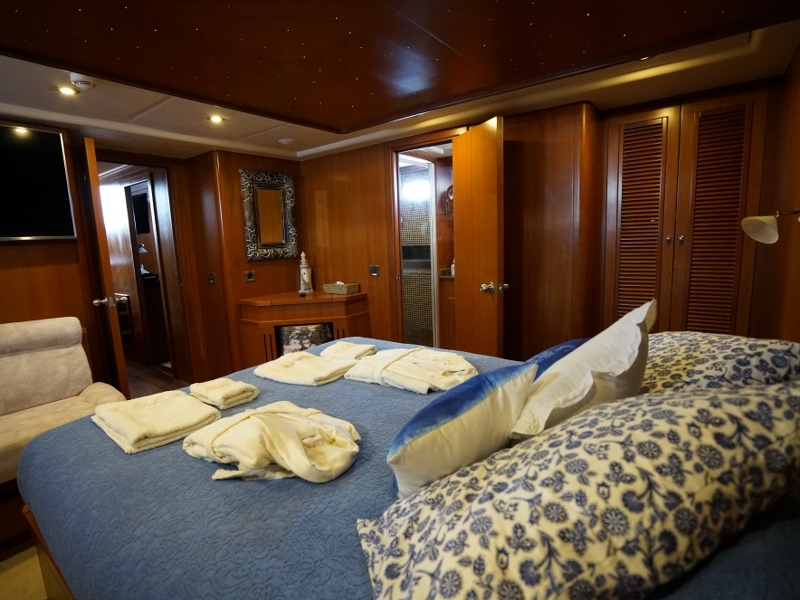 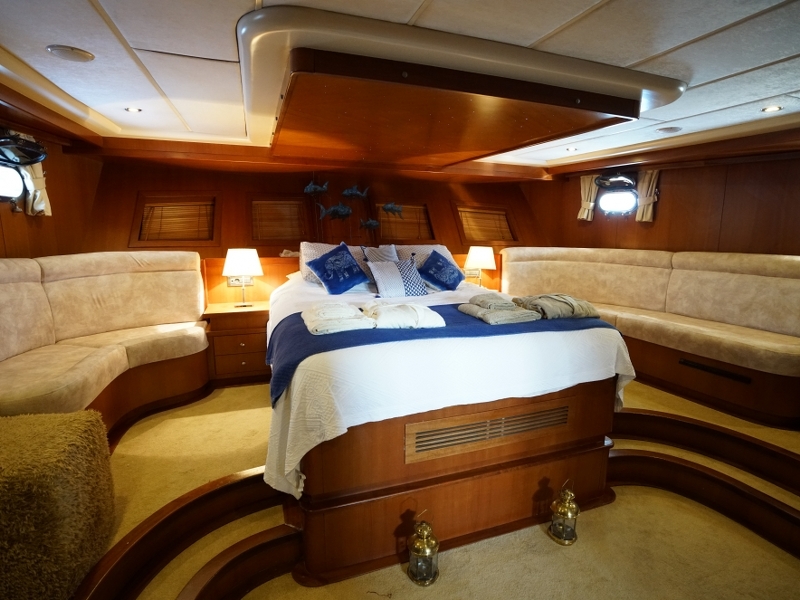 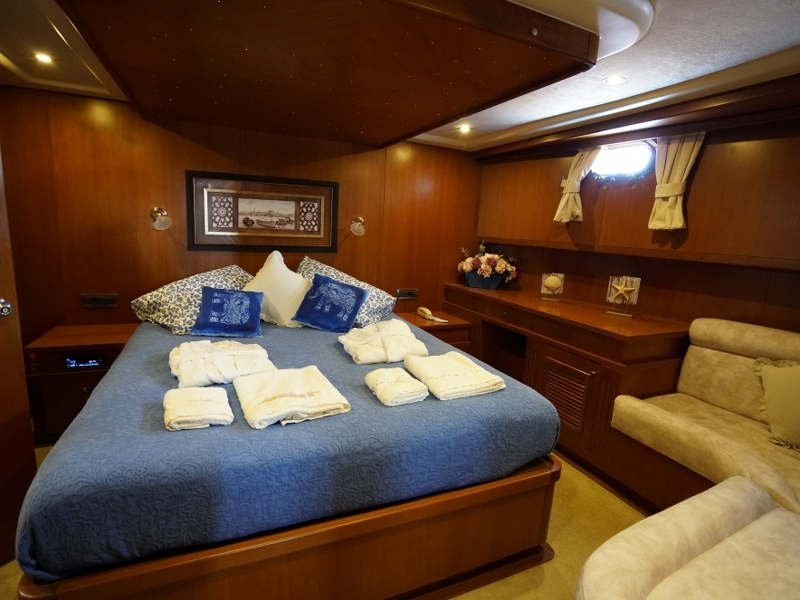 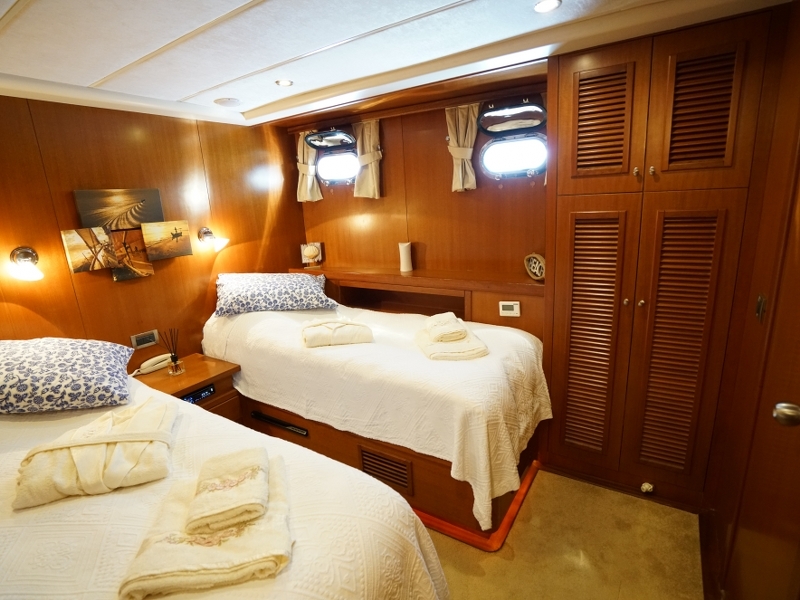 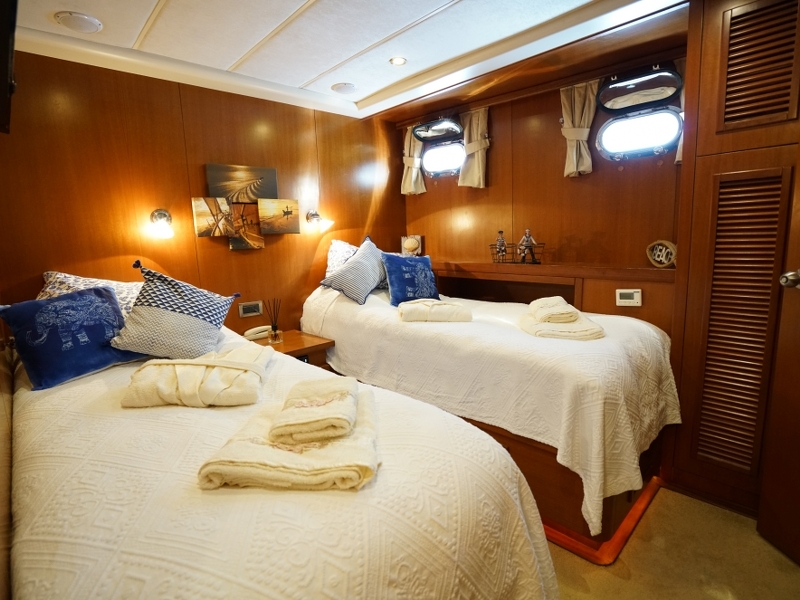 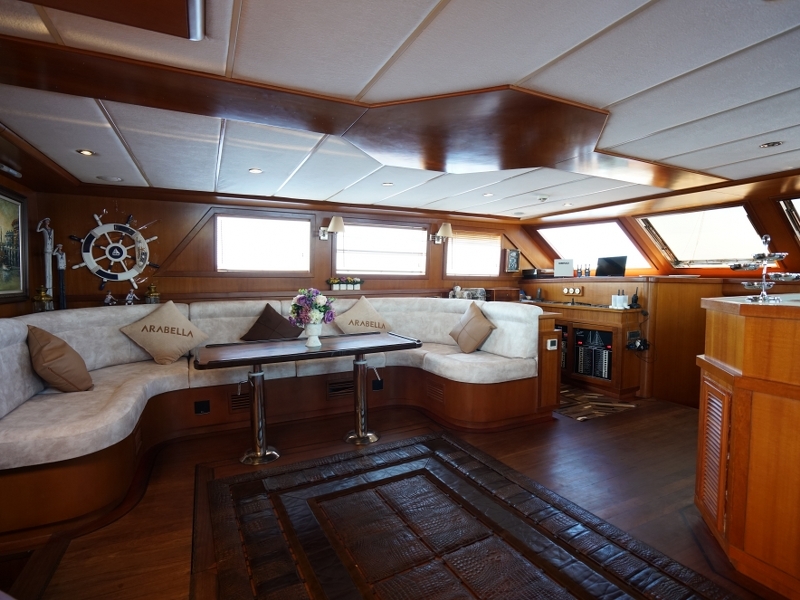 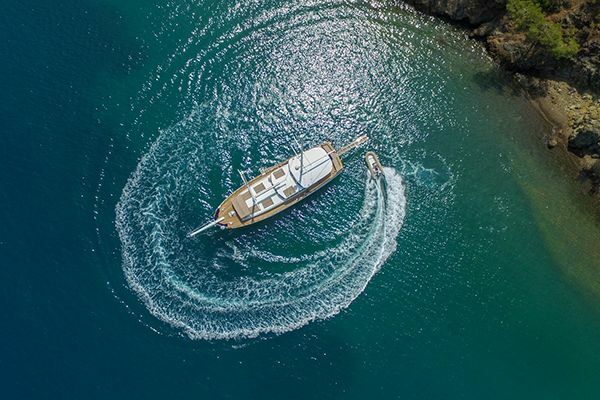 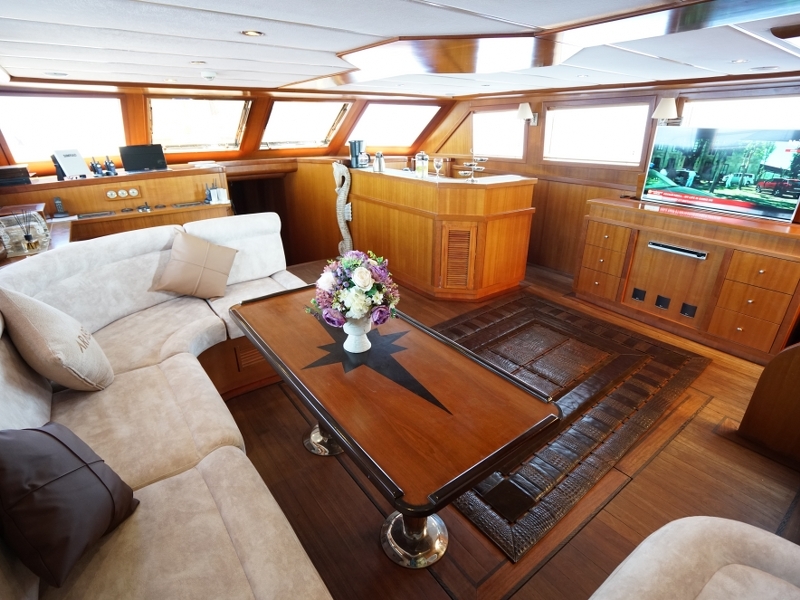 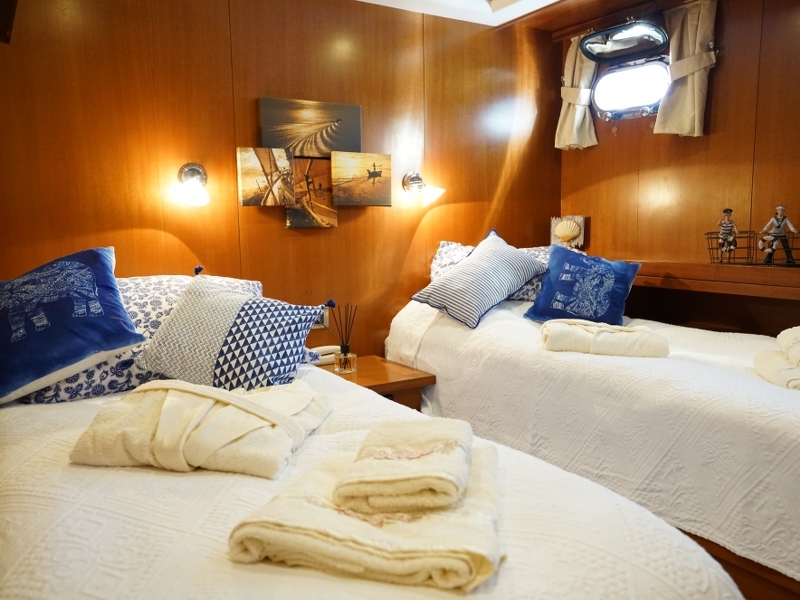 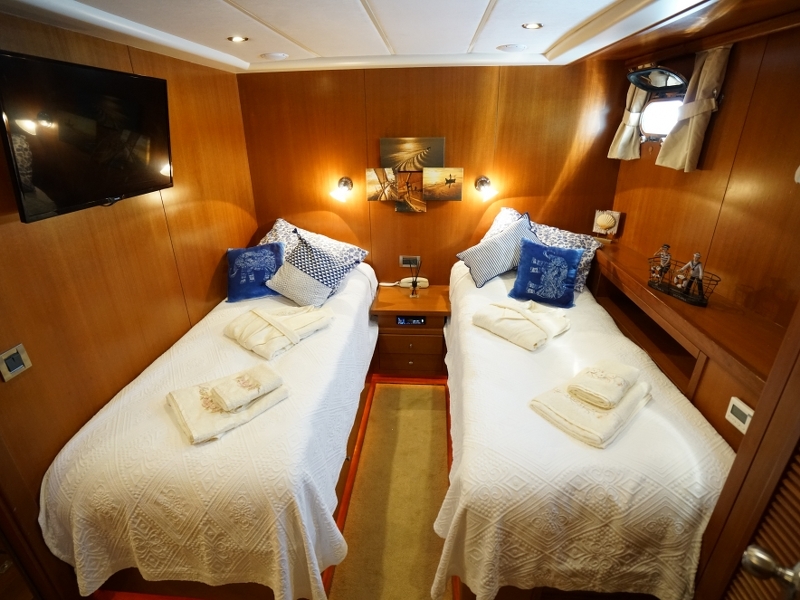 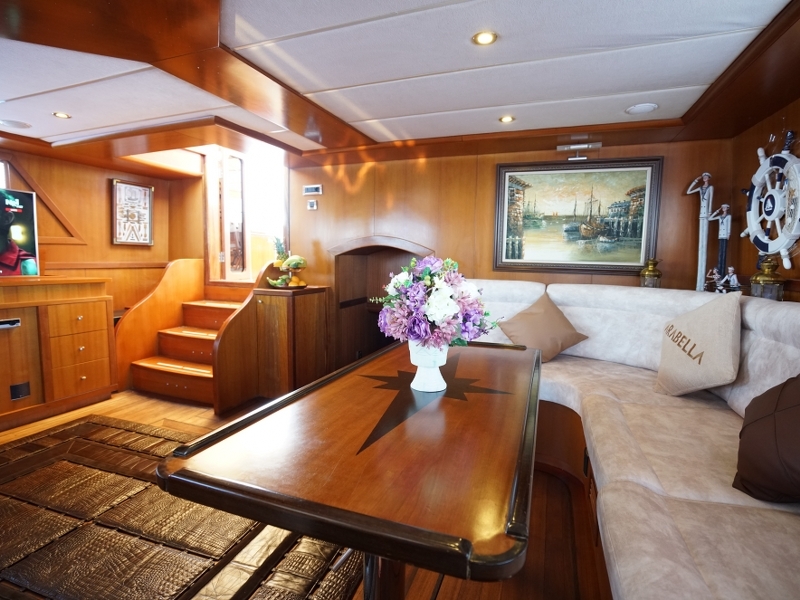 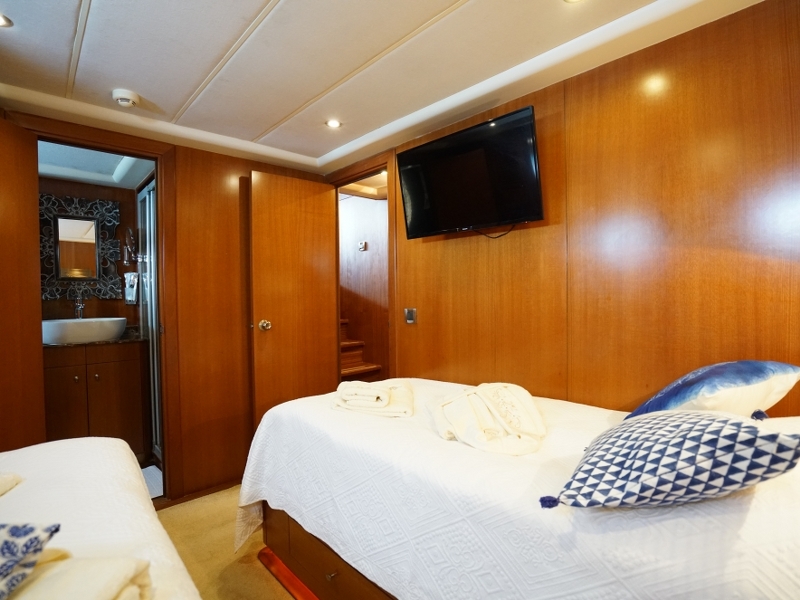 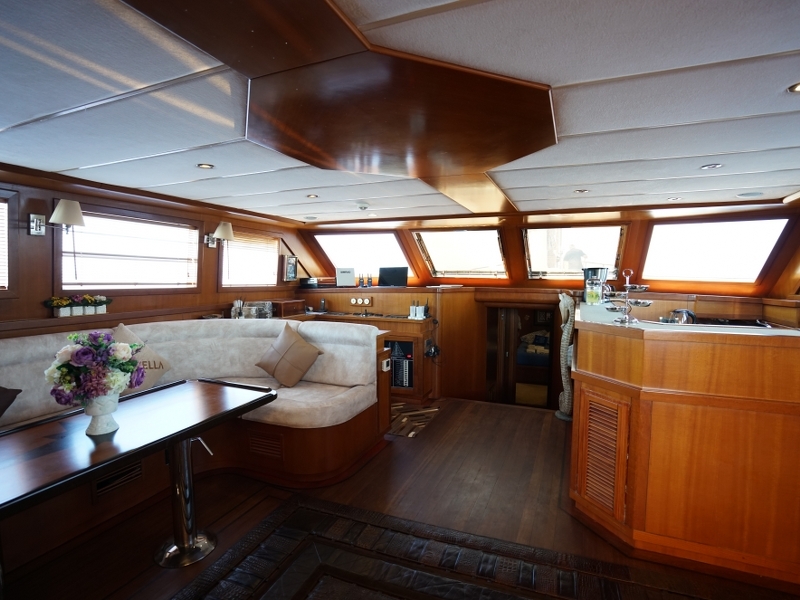 Finely appointed in extensive wood finish, the cabins and saloon offer all comforts and space of larger boats, but with an intimate cruising experience for eight guests. 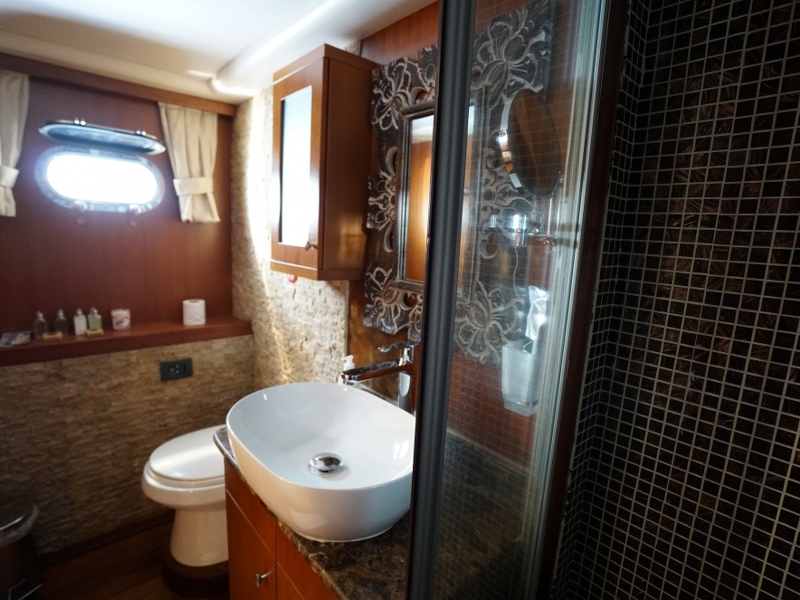 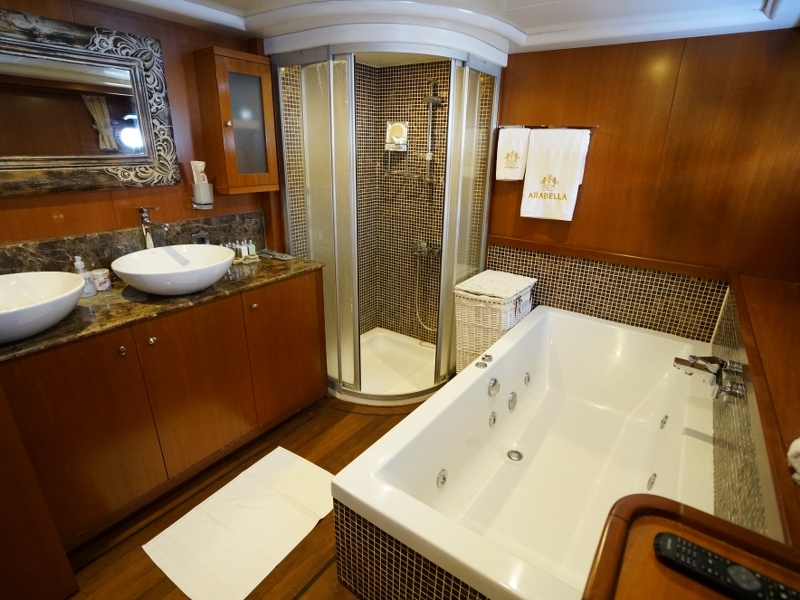 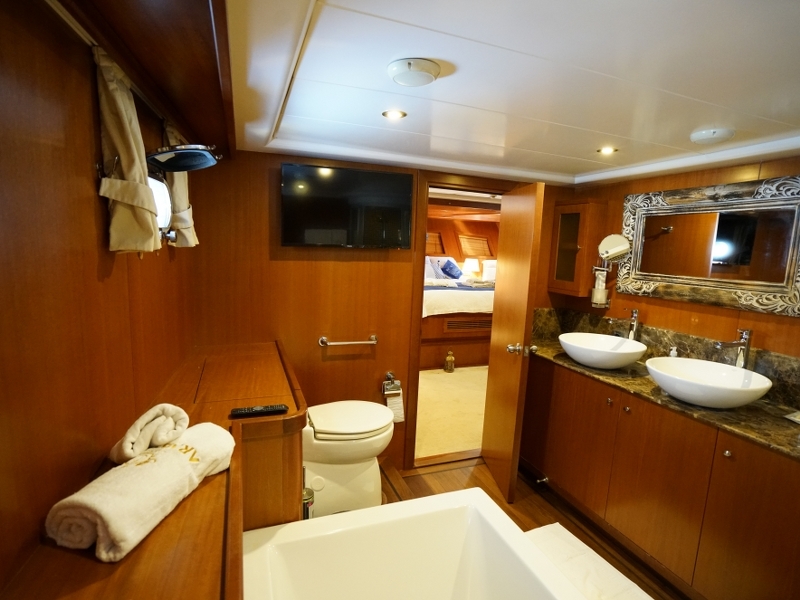 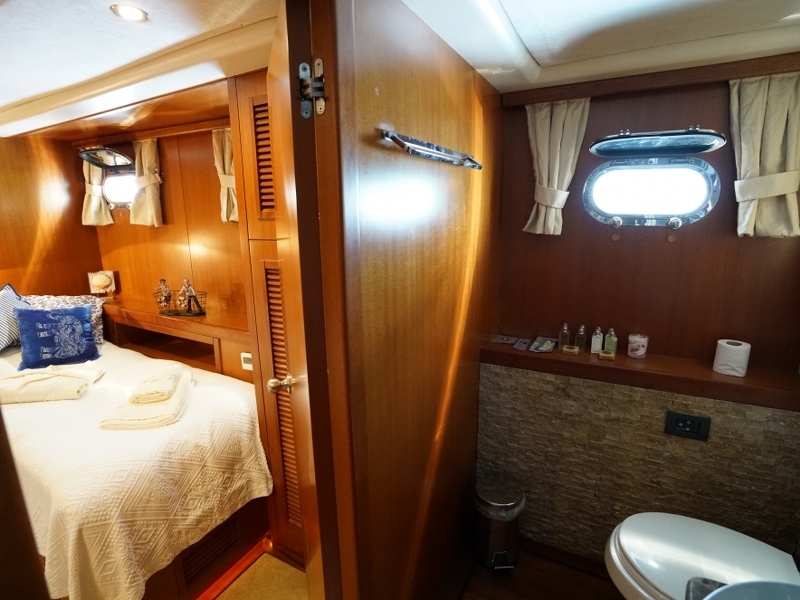 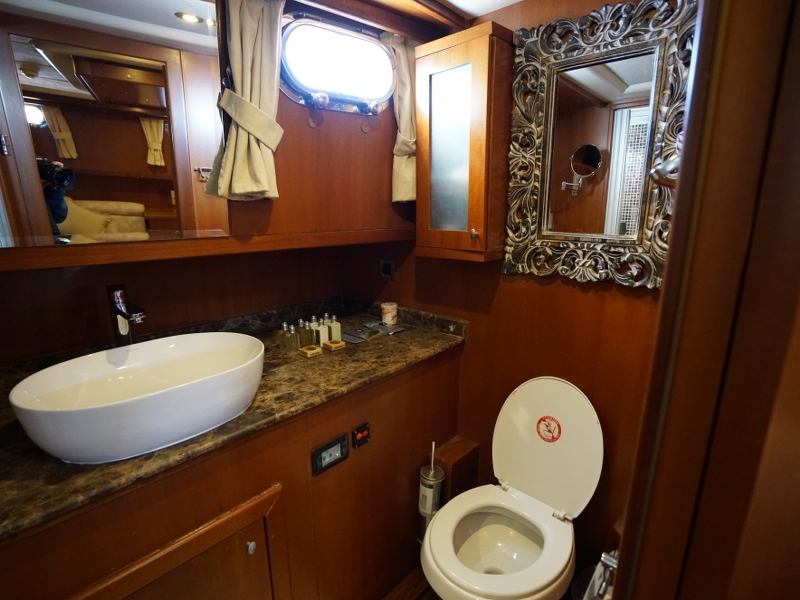 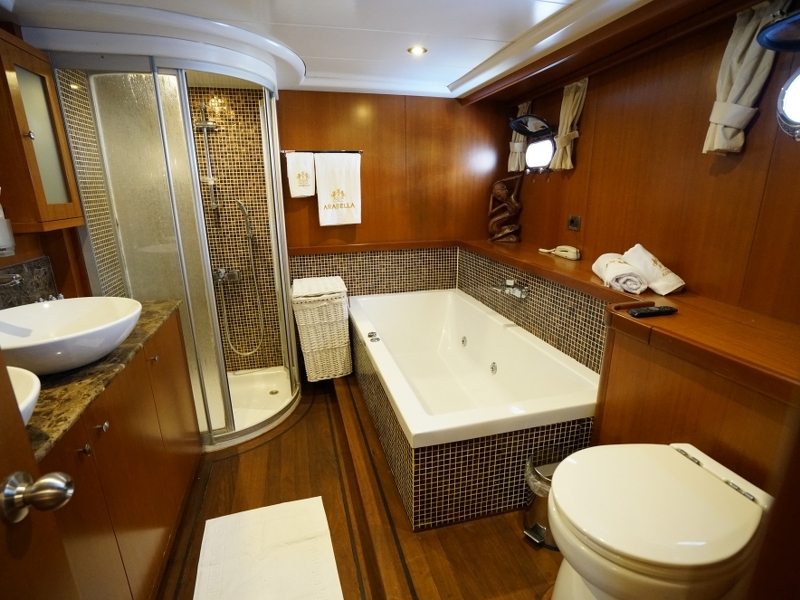 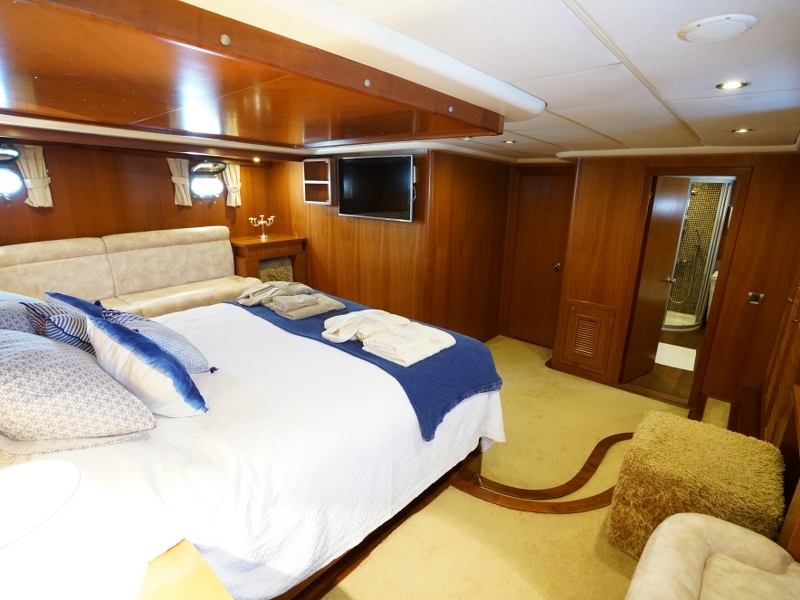 A spacious master cabin offers a Jacuzzi bath with the ensuite, plus flat screen TV, and side seats and storage. 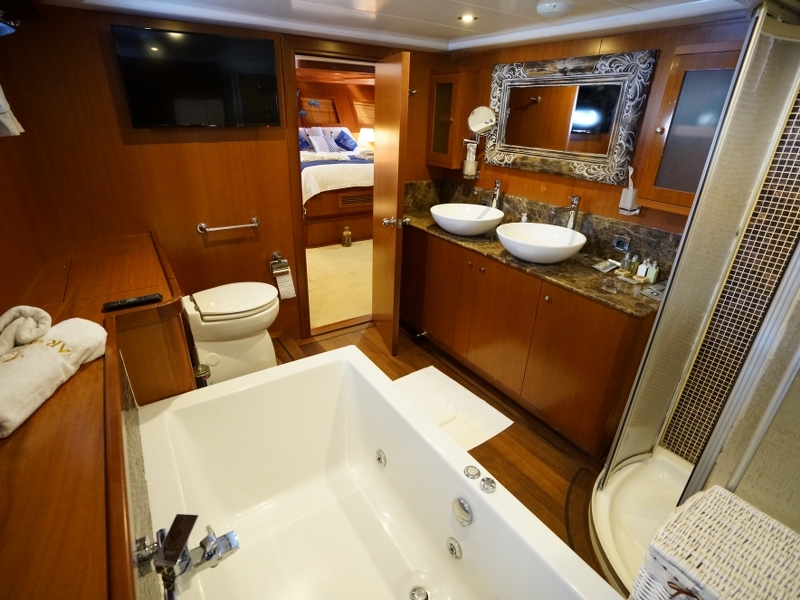 The large VIP double cabin and two twins also have their own TVs, and well-appointed ensuite bathrooms. 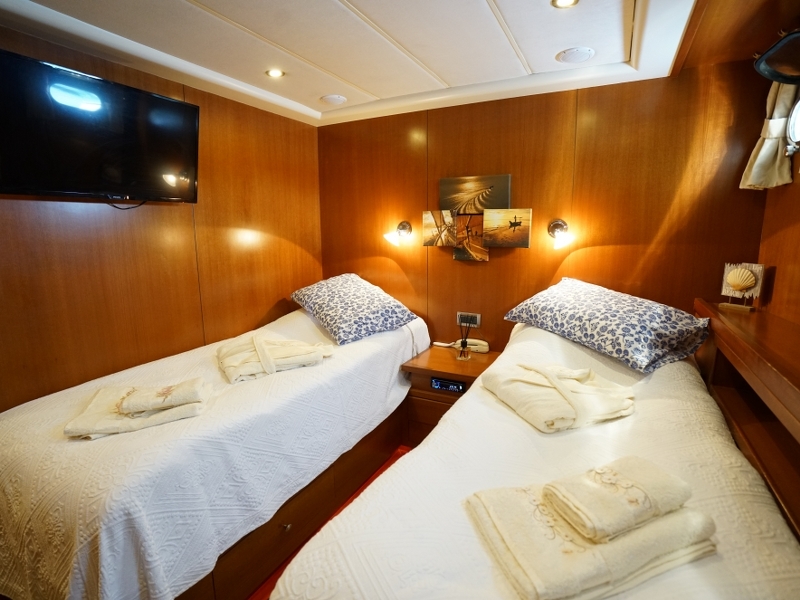 All cabins and the comfortable saloon are air-conditioned. 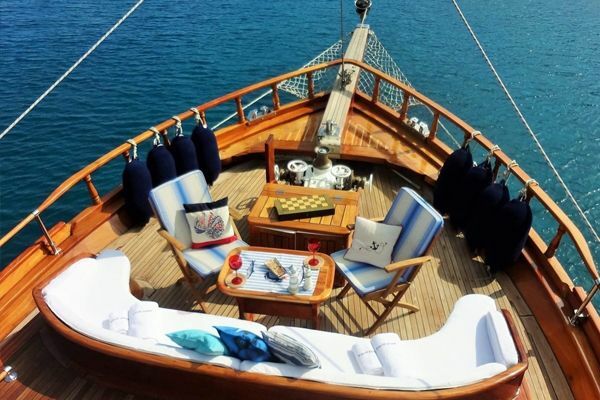 On deck dining of Gulet Arabella can never be more relaxing than at the full dining table under the awning over the aft deck, while soaking up the sun and sharing the space on the foreck sunbeds makes for a delightful intimate, relaxing and private cruise. 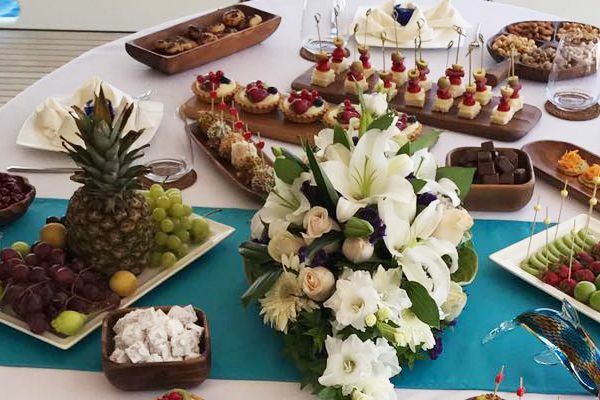 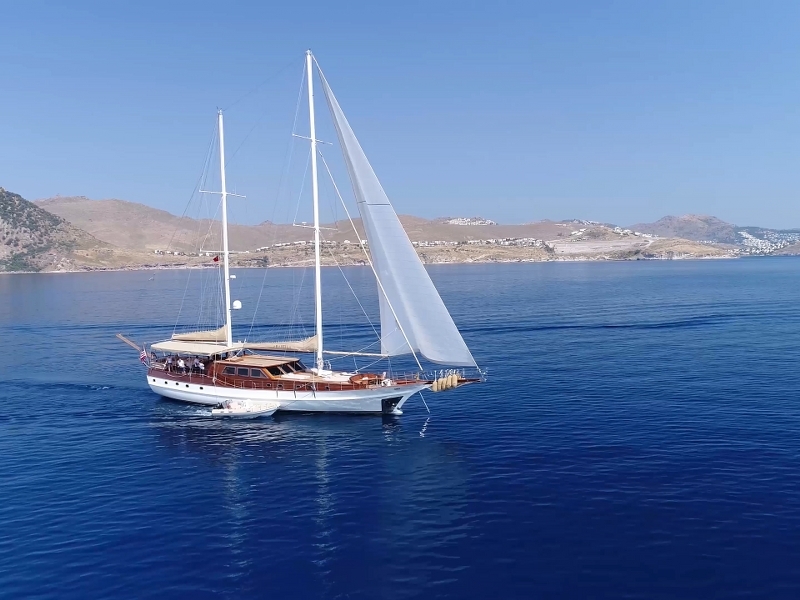 The chef presents a magnificent menu and the crew pampers guests while they relax , this is a cruising dream, to go wherever the winds and the bays beckon . 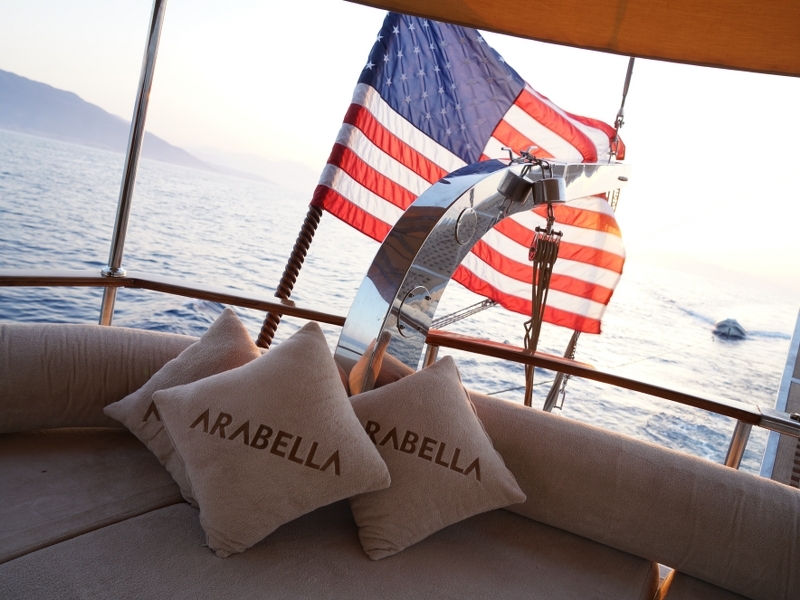 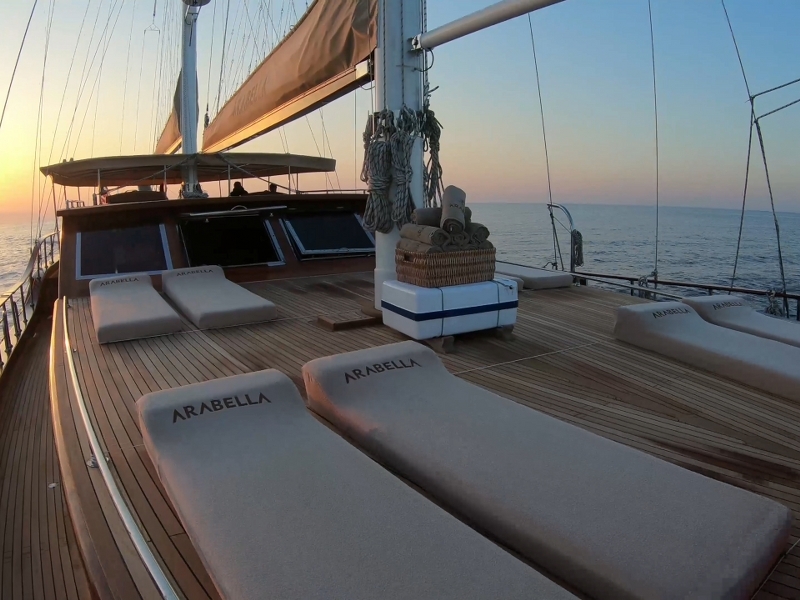 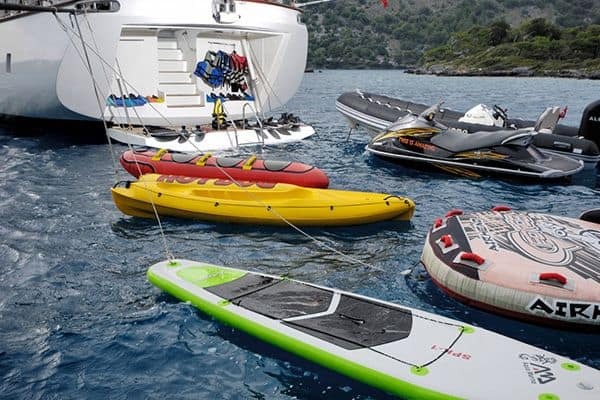 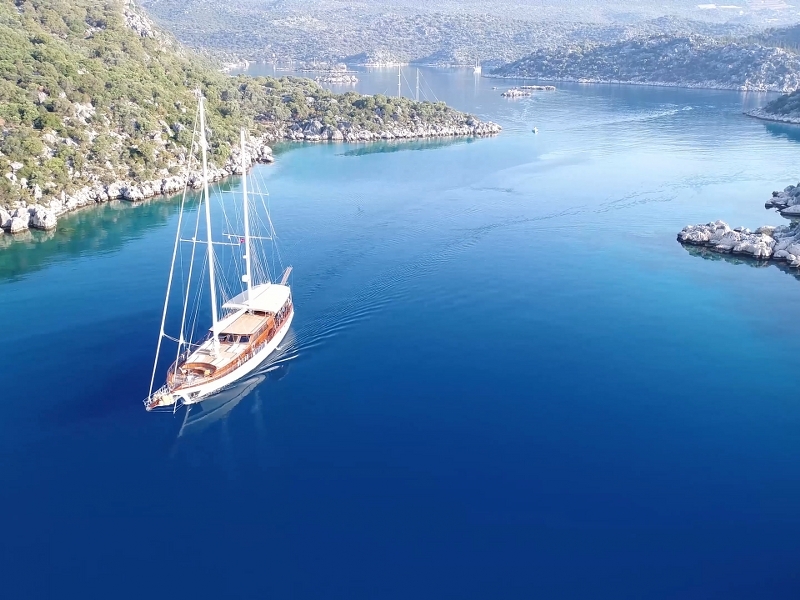 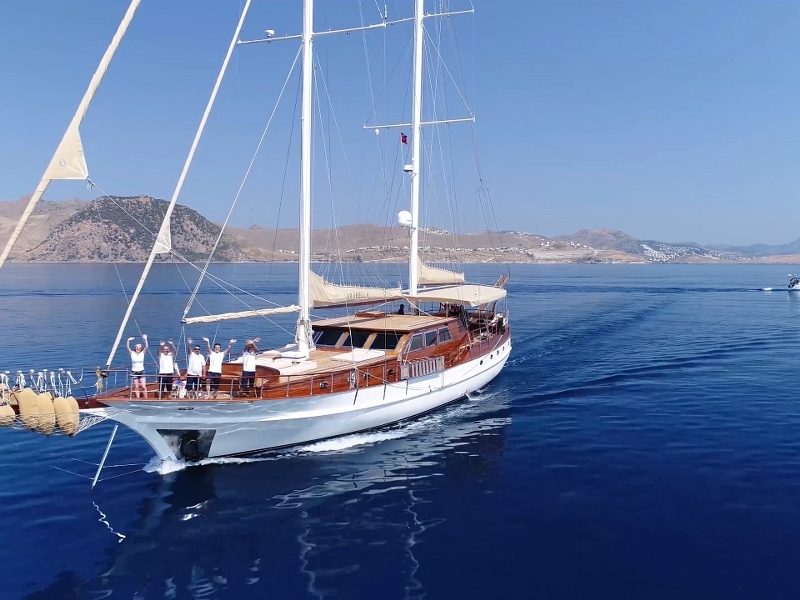 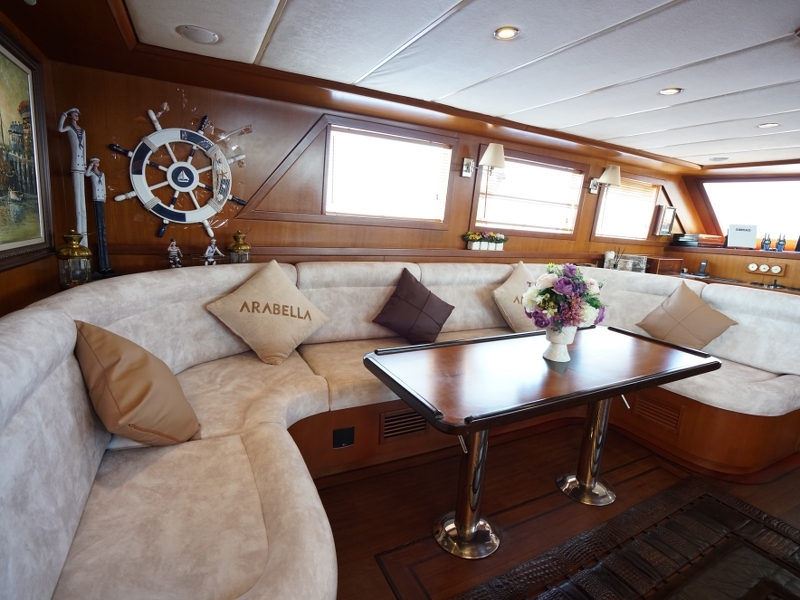 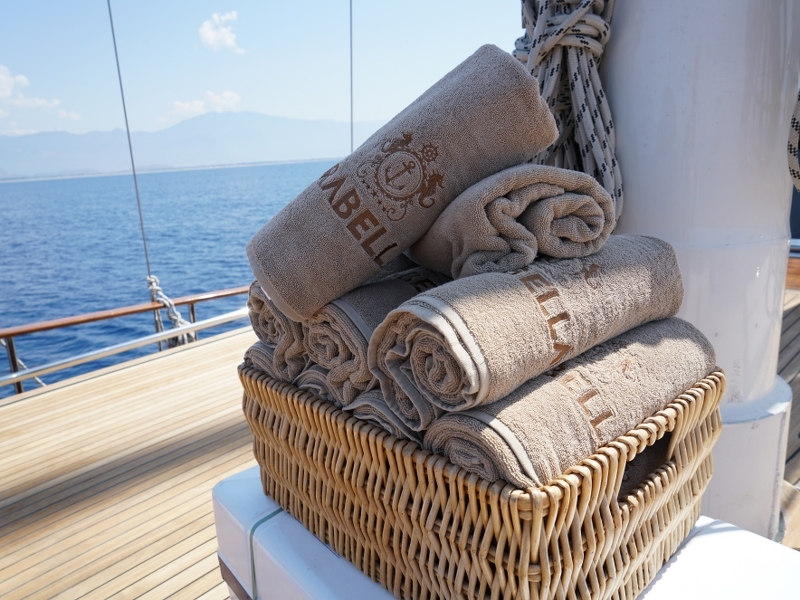 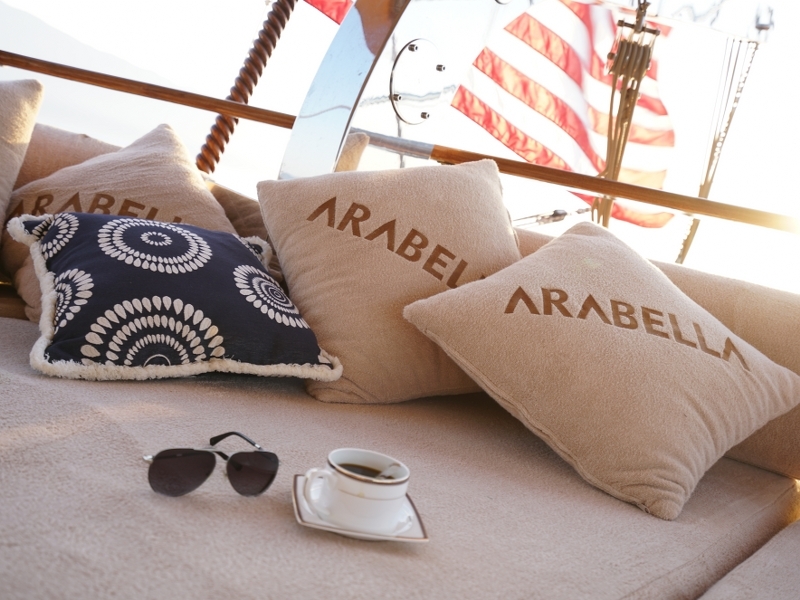 ARABELLA is available for charters in Turkey and Greece (charters visiting Greece must start and end in Turkey) She is located in Bodrum but flexible for charters from all main ports like Marmaris, Fethiye, Gocek etc.